NuPET™ Preclinical PET Scanner Released for Simultaneous PET/MRI in Existing MRI Systems | Cubresa Inc.
Winnipeg, MB – April 26, 2016 – A compact PET scanner called NuPET™ has been commercially released for simultaneous preclinical PET (Positron Emission Tomography) and MRI (Magnetic Resonance Imaging) in existing third-party MRI systems. PET and MRI are complementary imaging methods for better understanding disease and testing novel treatments in small animal subjects. Simultaneous PET/MRI imaging offers a solution to many challenges that face researchers who wish to correlate biochemical and physiological changes in their subjects. 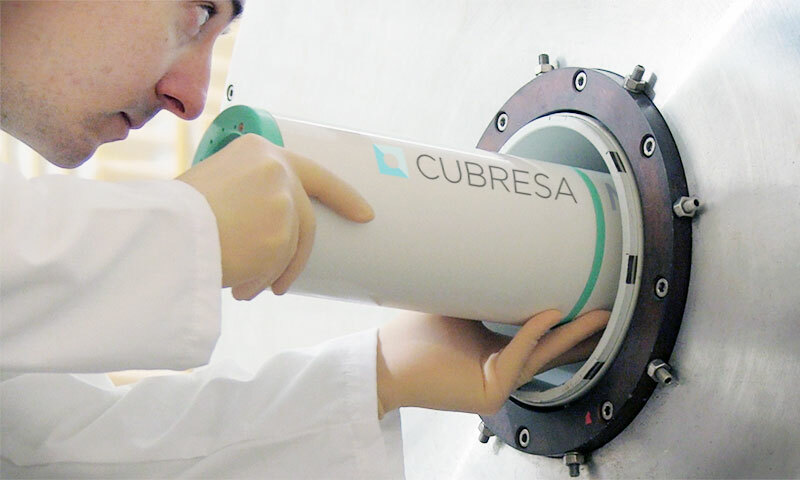 Cubresa Inc., a medical imaging company that develops and markets molecular imaging systems, today announced the release of its NuPET™ scanner and that systems have already been shipped and installed. Scientists can currently scan their subjects on two separate PET and MRI machines. However, significant challenges such as image registration, changing animal physiology and data obtained at different times can hamper breakthroughs. Cubresa will be showcasing the NuPET scanner in Booth 519 at the 24th Annual Meeting of the ISMRM (International Society for Magnetic Resonance in Medicine) in Singapore May 7—13, 2016.